I joined those who did not like the book. Yeah, if you are stuck in an air port or a traffic jam and you have few hours to burn then you might listen to it. 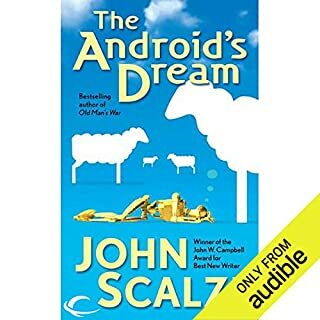 And only because I got it for free from Audible (probably a kind of a marketing scheme to make it a best seller ...) I listened it to the end and did not return it. But it is so 'flat' and looks like it was generated by an AI bot. All the right ingredients are inside, but nothing new, nothing original. The same hero with the same unrealistic demons which are kind of tend to glorify him than to draw a complex and interesting personality. . A super high tech investigative operation which does not entail that superfluous high tech for such simple cases. And the twists ... oh they are so expected and nothing is original here. So the only logical conclusion I could get is those AI bots now you can find any where were used to author that story. Hopefully AI will improve over time so we can get better books than this one. You will not regret the journey! It is a long book. As such I hardly remember when it started. It was such a long and enjoyable journey. Its very difficult to pinpoint and identify the type of the book. Is it a science fiction? Well it deals with time travel but also with ancient witches. Is it a fantasy story? Well, not exactly. At the end of the day its the attempt to save science and technology. Is it a satire on a secretive bureaucratic government agency and how it deals with witches on its payroll? Well, that definitely part of the more hilarious and funny themes withing the story. So the short answer is that you will find in it so many themes and subjects, woven brilliantly together into a great and enjoyable adventure with a lot of fun and leave you with a lot to think about.. .
One of the more interesting (though definitely not necessarily a main theme) is how a small startup can succeed against all odds, and when it finally become successful, the 'processes and structures' put in place on top of its enthusiastic founders bring it to a spectacular fall down (and seeing what's happening to Uber these days, it is a kind of an eye opening parable). Some readers were critics about the format of the book. I believe that the format which is kind of constructed of 'communication logs', diaries, etc' where there is not a single 'know all' author make the reading / listening much more rich and enjoyable experience. 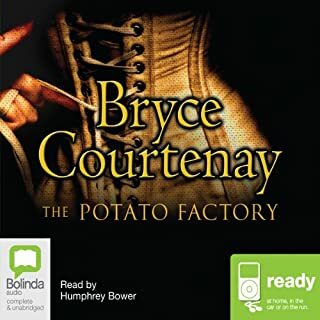 The superb audio production with so many narrators, each with its own unique accent add so much to the 'written' story, makes it not just a 'for driving time' experience but the recommended format to consume this book. I read most of John Wells series, and quite enjoyed them. 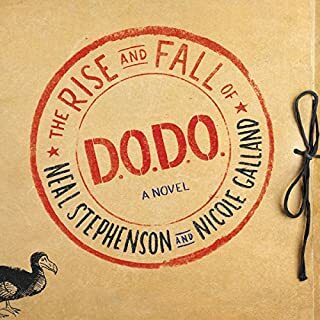 However, I join some other reviewers commenting on the sloppiness of the ending as well as the unbelievable framework story, signifying probably a weariness by the author. While the general plot has enjoyable parts (as always) the framework story of a betraying high rank CIA officer is so ridiculous and unbelievable that it leaves a strident feeling. 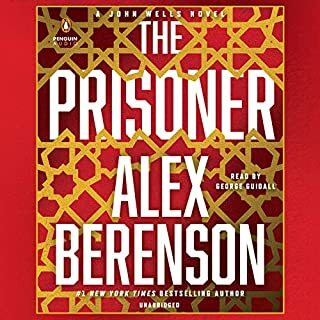 Alex Brenson could come up with a much better motive to carry John Wells through a detention camp than that ridiculous plot which was weaved in such a sloppy manner. Still if you are looking for the usual fast pacing John Wells plots you will get it but set your expectations accordingly. I decided to give this book a chance although some preceding reviews mentioned that the characters are flat and are depicted as cliche. But overall, the idea of building the story around a reality show was something I considered unique and interesting. I would even say that most of the book is enjoyable. The suspense is built in an Agatha Christie style with each of the involved characters is a potential suspect. However the story deteriorates to an end which justifies the 'cliche' attribute given to it. .
What did you love best about Redefining Reality? One of the best courses I have listened to. 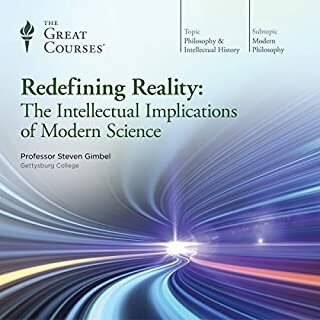 Prof. Gimbel takes you to a fascinating journey from the depth of the atom and quantum mechanics, to the forces that affect our galaxy, to the deep of our mind and to how our culture and society are all intertwined together to show you the complexity of our reality, and how much we are actually in a 'cave' of shadows. The many type of glimpses it shows you to the different faces by which we understand our environment, our culture and our existent. What does Professor Steven Gimbel bring to the story that you wouldn’t experience if you just read the book? The way Prof. Gimpel shows you, through the eyes of art, how reality is expressed in the eyes of artists. He opens the window to understanding how art was affected by our great scientific discoveries and how it helps us understand the complexity and beauty of the human experience. 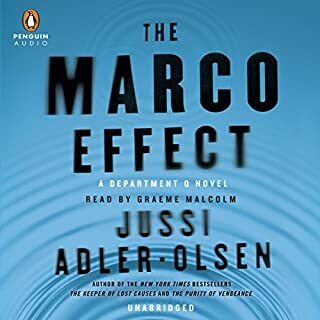 I listened to most of J. Adler-Olsen books. I am used to the non- sophisticated ending. Still i was hooked to the main characters - Karl, Asaad and Rose so that i could forgive the kind of 'brute force' ending. However, in this book you feel like being thrown to a Charles Dickens copy cat author. Even as a parody it is not a successful one. Bottom line - quite disappointing. I came to listen to that book after reading the author newer book - lock in which very enjoyable. Unfortunately, this book left me very disappointed. The book seems to have been written a year or so before the iphone and Facebook and the plot exists in a very far future of intergalactial flights, yet the futuristic scene seems so outdated that you doubt about the skill of the author to imagine that future, wher people still uses colt 45 as a weapon, and this is just one sample. The plot is so unrealistic - and of course you are not expecting a scifi genre to be realistic but you do expect it to be coherent and consistent. Lock in got you to really think on the situation and what it expresses. 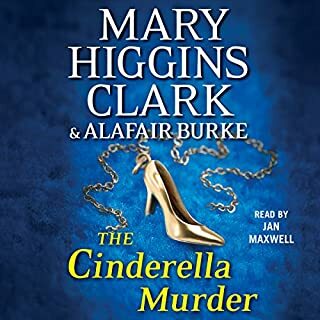 Here the author is forming such a sloppy plot with flat characters full of twitsts that do not really make sense so that you dont leave this book with some insight but with a bad taste. Also the narrator speaks too fast which also contributing to an unpleasemt experience. Saying that - go read lock in. Its much better. This is the 2nd book of Mitzner I am reading. 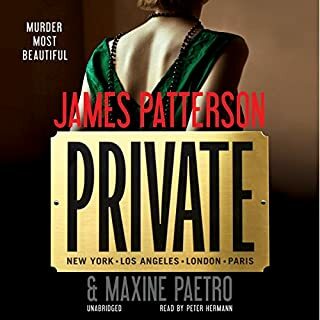 I kind of liked his previous book, and reading several praising reviews, especially talking about the shocking end, I started listening to the book. I actually read it to the end but almost at the middle I already knew how its going to end. I am sorry to say but it is a just another John Grisham wanna'be but not close to the sophistication of Grisham's novels. Readable and page turner but nothing more. At the end I was quite disappointed and thought I should balance the other readers enthusiastic reviews. 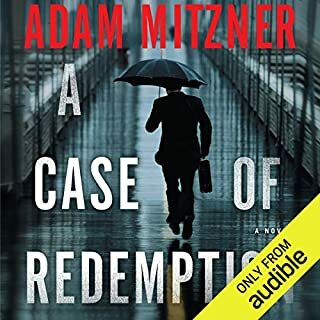 Best audiobook of the year! I listened to this book for the entire month. What an experience had it been. I have read several critics saying that the book is too long. It indeed like reading 3 books, but what an experience it was. I felt that I was pulled into this fascinating stpory, to this amazing world of 1q84, never wishing to leave this world. A quote which will probably become eternal - "if you can't understand it with out explanation you will not understand it with an explanation". This is a rare masterpiece, but is very accessible. No dull moment and still leaves you with so much to absorb and think. I only regret I could not listen to it in its native language. However the narration is superb. 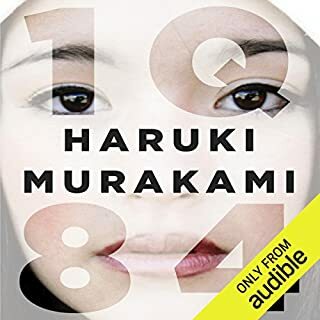 One of the most exciting experiences of any audible book I listened to was when the narrator started to sing from a Bach Passion (if my memory does not betray me).